This kind of parachute added to illuminition is designed to prolong the descending and illuminating time simultaneously.the function of illuminating parachutes is to make clear area. 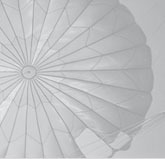 there are different kinds od illumination parachutes produced by knp in accordance with the caliber of each ammunition such as 40mm, 81mm, 105mm. 120mm, 155mm, etc.